Making the Perfect Healthy Brunch! 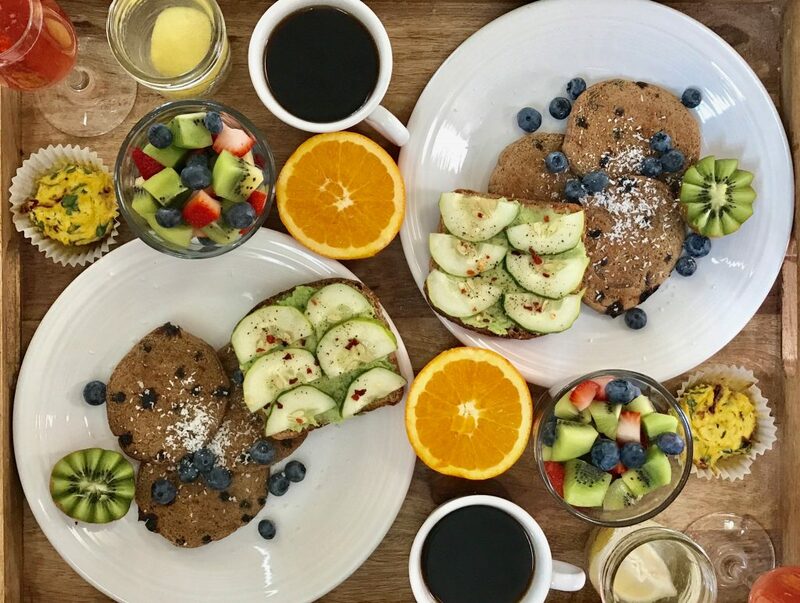 We have to admit something – we freaking love brunch! I mean, what’s not to love? Food, mimosas, more food, more mimosas… sounds like an amazing time to us! 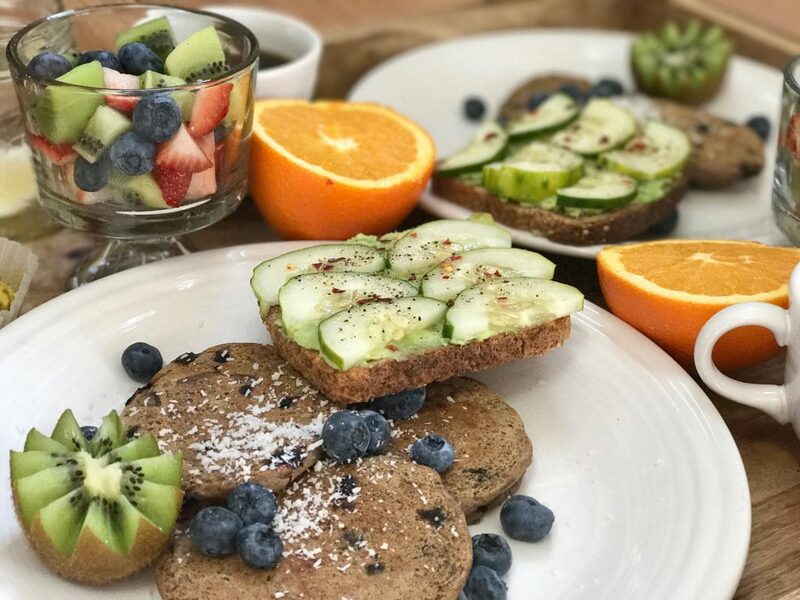 However, years ago, when David and I first started to be really mindful of what we were eating and putting into our bodies, we kind of wrote brunch off. However, when we started creating the Fairburn it Off Nutrition & Fitness Plan, our initial inspiration for recipes were all of the unhealthy ones we grew up with – pizza, Mac n’ cheese, cookies, etc. – so we thought, why not do the same with brunch!? Now, we still do not brunch all of the time, simply because of time. 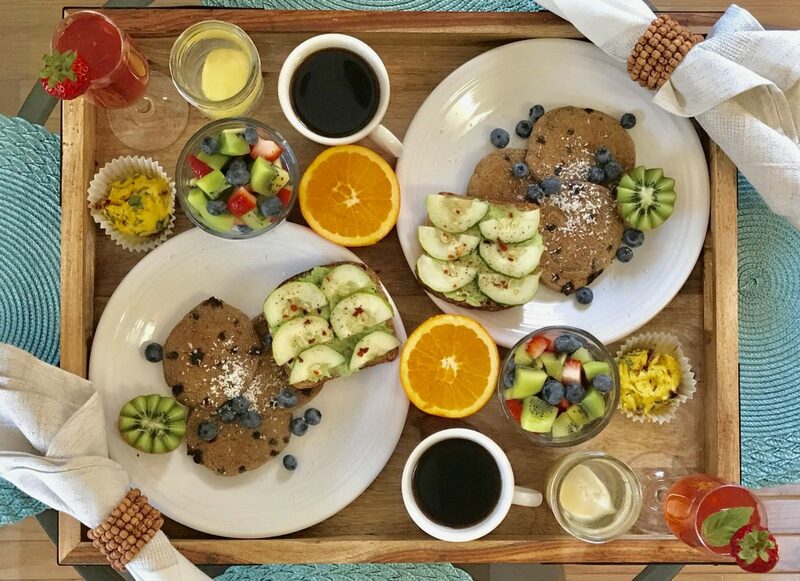 However, when we want to have a fun morning in or treat one another (we often do this as a day date/birthday/breakfast in bed gift for one another), we whip together a beautiful and healthy brunch! Complete with mimosa’s of course! 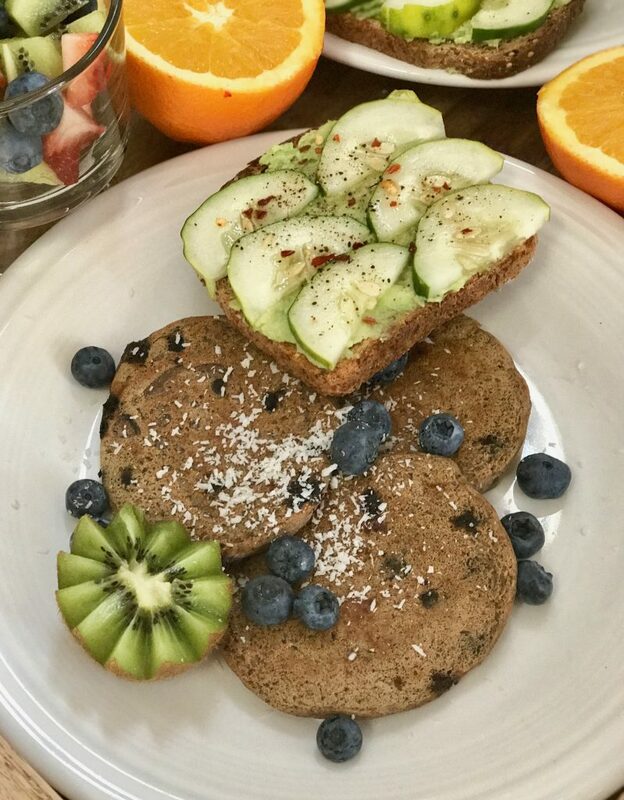 We will usually make the Fairburn Flapjacks or French Toast recipes from your nutrition plan. I love the blueberry variation, so David and I have been making that one lately with some coconut shavings on top. For sides – or really just a meal extension – we will have anything from Avocado Toast to a veggie scramble, or the “Egg” Tofu Cups from your nutrition plan (these are David’s current favorite). 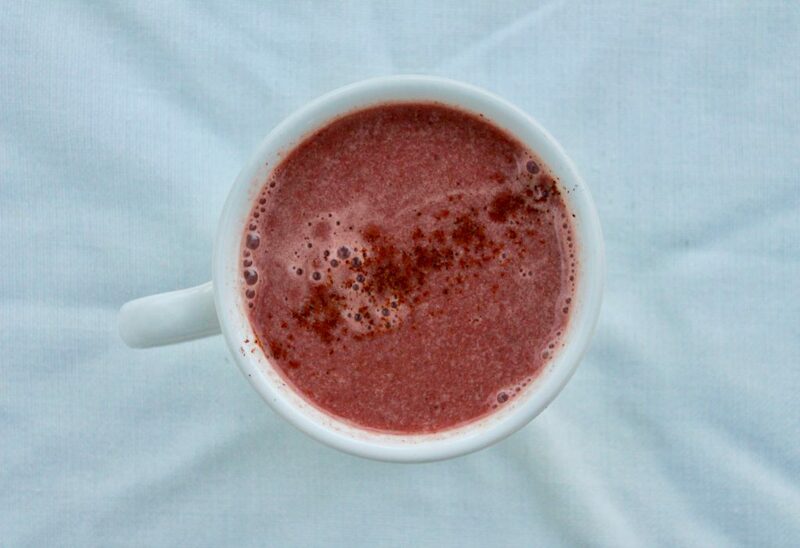 Lemon water and black coffee are always a must for us (make sure you stay hydrated with water, and if you do not like black coffee, use the creamer and sweetener recipes from your nutrition plan, or the turmeric or beet lattes)! We also like to have an adult beverage with brunch too! To make Mimosa’s, simply choose your favorite champagne, prosecco, or other sparkling wine, pour into a champagne flute, and top off with a little freshly squeezed orange juice. You can also try this Apple Cider Mimosa recipe here. If you have kiddos at home and want to make this family friendly, you can still use champagne flutes and fancy glassware to make it feel special. Just pour some sparkling water, juice, or cider in the glass, and then you can all cheers together! You do not have to go too crazy here, but it can be fun to set the food up nicely and present it like you are out to eat. Because we often do this breakfast in bed style, we wear our favorite PJ’s or robe, and we eat in bed! To help with spillage and serving everything, we use a large wooden serving tray that we picked up at Home Goods. 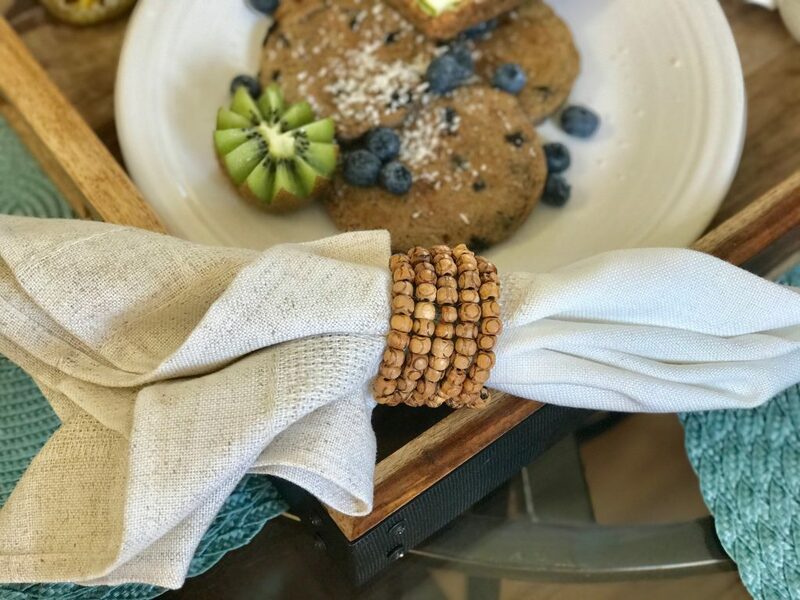 We also like to use fancier cloth napkins and napkin rings to make it feel a little more special. To top it off, add some music! 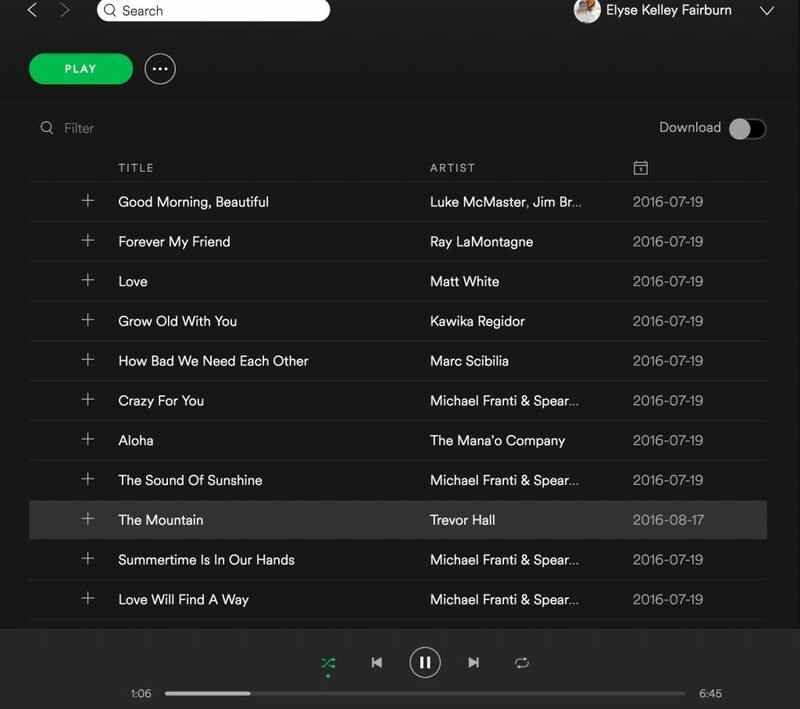 We typically use our Morning Coffee or Italian/French Music playlists on Spotify, but you can use a Jazz playlist or any other type of music you are feeling to set the tone. Ultimately, as fancy and difficult as it may look to prepare, it is really quite simple! It’s all about the illusion of dressing things up a bit to make it feel a little extra special.